LONDON, 2015-5-27 — /Travel PR News/ — A £16 million development programme is set to transform Departures at London City Airport. Work has begun to reconfigure the airport’s Western Pier, which houses 70 per cent of its departure gates. Built in 1987, the airport was designed for tens of thousands of passengers, not the millions that use it today. 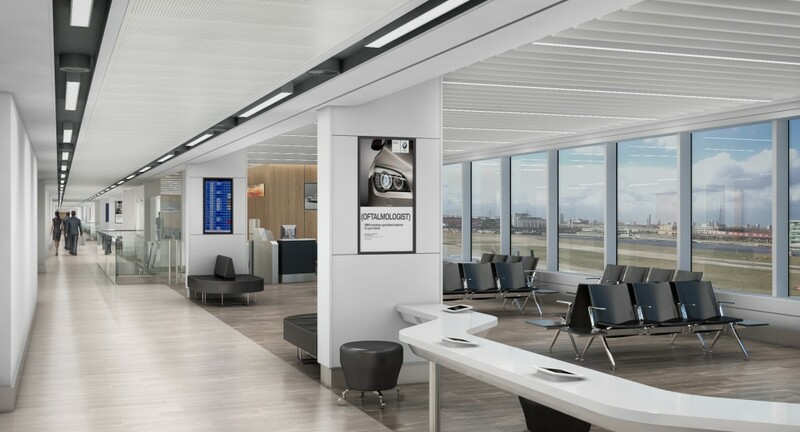 The new Western Pier will create a bright, open-plan space with modern seating, electronic boarding gates, workspaces, quiet areas and charging points. The area will increase in size by around 84 per cent, (approx. 1,780m2), with space for new retail and food and beverage outlets, and accommodate 600 additional seats. Work has begun on the new Western Pier, with completion expected by Summer 2016. Work on the Western Pier will be carried out under ‘permitted development’ – which means it does not need planning permission. The Western Pier Project is not part of the City Airport Development Programme, planning permission for which has not been granted. London City Airport has mounted an appeal against that decision. This entry was posted in Airlines, Airports, Business, Flights, Transportation, Travel, Travel Management, Travel Services and tagged Declan Collier, London City airport, London City Airport's Western Pier, £16 million development programme. Bookmark the permalink.